Bonn/Nairobi, 8 May 2015 - Turning off non-essential lights in cities to help birds navigate their annual migration routes in autumn and spring; placing networks of power lines underground, or retro-fitting them to prevent fatal bird collisions and electrocutions are all shining examples of measures being taken to try to make the world's expanding use of energy safer for migratory birds. These measures have to be complemented by effective national legislation and planning guidance and policies that ensure that birds are protected from adverse effects of energy developments. Migratory birds - such as cranes, storks, shorebirds and eagles - travel thousands of kilometres across flyways that span countries and entire continents. However, pressures resulting from a growing human population, rapid urbanization, pollution, climate change and unsustainable use of natural areas are causing the loss, fragmentation and degradation of the natural habitats upon which migratory birds depend. Developments in the energy sector are adding to these pressures, as millions of migratory birds are being affected by the massive expansion of various means of generating and distributing energy. "The global challenge is to ensure that the development and deployment of energy infrastructure, crucial to support human development, and of renewable energy technologies, central to the fight against climate change, do not come at the cost of placing already threatened species of migratory birds at greater risk of extinction," says Bradnee Chambers, Executive Secretary of the Convention on the Conservation of Migratory Species of Wild Animals (CMS). Renewable energy technologies are essential as we strive towards a low carbon future. Yet energy cannot really be considered sustainable and nature-friendly unless it takes biodiversity and, more specifically, migratory birds into consideration. "It is clear that renewable energy is needed to fight climate change which affects the survival of all species. But the development of this new technology should not be detrimental to migratory birds and the planet’s biodiversity,” says Jacques Trouvilliez, Executive Secretary of the African-Eurasian Migratory Waterbird Agreement (AEWA). If not properly planned, the deployment of wind, bio-energy, geothermal, hydropower, ocean and solar energy technologies can have negative impacts on migratory birds, because such installations can form barriers to migration and exacerbate habitat loss and degradation. “Solutions to address the challenge exist and CMS and AEWA have commissioned international guidelines which include practical measures to make both power lines and renewable energy safer for migratory animals, in particular for birds. Good planning to avoid placing wind farms on migration bottlenecks or making power cables more visible to prevent bird collisions are just a few examples." says Trouvilliez. Celebrated in over 80 countries on 9-10 May with the theme "Energy - make it bird-friendly! ", World Migratory Bird Day 2015 will highlight the importance of deploying energy technologies in a way that prevents and minimizes impacts on migratory birds and their habitats. Events to mark World Migratory Bird Day will include bird festivals, education programmes, bird watching trips, presentations and an international video competition. There will also again be a benefit concert to raise awareness and funds for migratory bird conservation. Launched in Kenya in 2006, World Migratory Bird Day is celebrated on the second weekend each May by a growing number of dedicated people and organizations around the world. The annual awareness raising campaign is organized by CMS and AEWA - two intergovernmental wildlife treaties administered by the United Nations Environment Programme (UNEP). 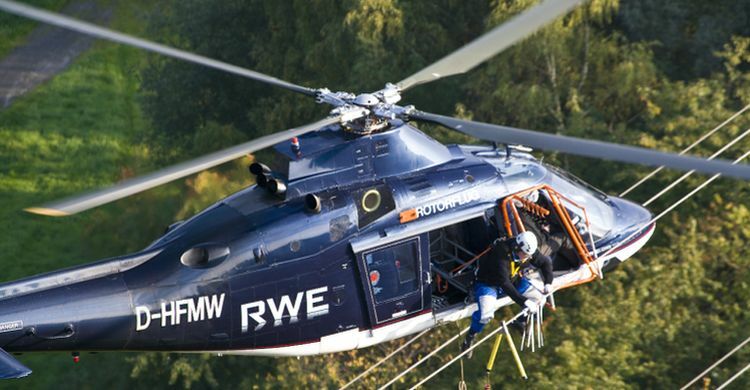 The 2015 campaign has been made possible thanks to a voluntary contribution of the German Federal Ministry for the Environment, Nature Conservation, Building and Nuclear Safety (BMUB) to AEWA. The global campaign is supported by a number of international partners, including: BirdLife International, Wetlands International, the Secretariat of the East Asian-Australasian Flyway Partnership (EAAFP), the International Council for Game and Wildlife Conservation (CIC) and UNEP. A Resolution on Renewable Energy and Migratory Species adopted by CMS Parties at their most recent Conference held in Quito, Ecuador in November last year, calls for Strategic Environmental Assessments and Environmental Impact Assessments to be carried out when planning the use of renewable energy technologies, avoiding existing protected areas and other sites of importance to migratory species. With specific reference to wind energy, the resolution requests to undertake careful physical planning with special attention to the mortality of birds (in particular of species that are long-lived and have low fecundity) resulting from collision with wind turbines. In the Netherlands, all low and medium voltage cables have been buried, and other northern European countries such as Belgium, Denmark, Germany, Norway and the United Kingdom have adopted a similar policies. To reduce the risk of electrocution the Hungarian NGO MME has developed a plastic cover for the metal struts of pylons and, as 80 per cent of white storks in Hungary perch and build their nests on electricity poles, safety platforms have been installed to prevent the birds from electrocuting themselves. Other measures are inexpensive to implement and these include installation of markers or bird flight diverters on overhead wires and guy ropes and using stroboscopic flashes as aircraft warning lights as continuous illumination tends to attract birds. A practice successfully implemented in Germany involving the marking of power lines at least every five to ten metres to make them more visible to birds is expected to lower collision rates by at least 50 per cent. The design and placement of the pylons are also very important – in forested landscapes, for example, it is best if the structures do not protrude above the tree canopy. Monitoring in France over the past 20 years has shown that attaching deflector spirals to power lines at regular intervals to make it easier for birds to detect obstacles can lead to a reduction in collisions and resultant fatalities. Minimizing the construction of new power lines, through efficient network planning and dispersed power generators is another way to prevent bird electrocution and collisions. Designing the location, route and direction of power lines on the basis of national zoning maps, avoiding, where possible, habitats of conservation importance, such as important bird areas, protected areas, Ramsar sites and other critical sites is an essential component of environmental impact assessments. Major bottleneck sites need to be excluded from the outset. Temporarily shutting down wind turbines on demand at specific locations at specific times such as the peak of the migration season has proven to be effective. Where this was implemented in Spain, the number of Griffon vultures killed dropped by half for a loss of power generation of less than 0.1 per cent. The relative lack of electrical infrastructure across Africa at present provides an opportunity to avoid the mistakes made elsewhere in the past if the international guidelines are followed. However, there is also the potential for disaster for avian wildlife if they are not. It is estimated that hundreds of thousands of birds die annually from electrocution and tens of millions of birds from collision with power lines alone. By the end of 2015 it is expected that there will be 76.2 million kilometres of power lines throughout the world, often constructed with minimal consideration of their environmental impact. Over the next five years a further 5 million kilometres of new power lines are predicted to be constructed. The Rift Valley-Red Sea flyway is the second most important one for migratory soaring birds. Over 1.5 million birds of 37 species use it each year including raptors, storks, pelicans and cranes. The Red Sea coast alone has the potential to generate annually 20GW of electricity from wind energy and several countries in the region have national plans that propose increasing the contribution of wind energy to national electricity production. The installation of 68 wind turbines in the Smöla archipelago in Norway is thought to have contributed to the decline of the local breeding population of White-tailed Eagles, while the over 5,000 turbines in the Altamont Pass in California, USA are estimated to kill about 1,000 raptors each year. In South Africa, it was estimated that approximately 12% of the Blue Crane population within the Overberg area of the Western Cape could be killed annually in power line collisions. Also in southern Africa, 11-15 per cent of Ludwig’s Bustards global population was estimated to be killed annually by collision with high voltage transmission lines. A thousand fatalities may seem insignificant but for some slow breeding bird species, such as birds of prey, cranes, bustards and owls, even small losses can cause some populations to decline and even result in local and regional extinction. "The annual migration of birds is one of the great natural wonders and a source of inspiration for people all around the world. World Migratory Bird Day is not only a marvellous opportunity to celebrate these amazing creatures and their incredible journeys, but it is also an occasion to raise awareness about the many threats they face along the way" says Jacques Trouvilliez, Executive Secretary of the African-Eurasian Migratory Waterbird Agreement (AEWA). "The message behind this year's World Migratory Bird Day is that a transition to a truly green and clean energy future will also need to include wildlife and particularly bird-sensitive methods of energy production and transmission as well as concerted actions by governments, nature conservation organizations, scientists and the energy sector to ensure that the advantages of sustainable energy can be realized for the benefit of people, birds and nature" says Bradnee Chambers, Executive Secretary of the Convention on the Conservation of Migratory Species of Wild Animals (CMS). The Convention on the Conservation of Migratory Species of Wild Animals (also known as CMS or Bonn Convention after the city in which it was signed) aims to conserve terrestrial, aquatic and avian migratory species throughout their range. It is an intergovernmental treaty, concluded under the aegis of the United Nations nvironment Programme, concerned with the conservation of wildlife and habitats on a global scale. Since the Convention's entry into force, its membership has grown steadily to include 120 Parties from Africa, Central and South America, Asia, Europe and Oceania. CMS and its related Agreements on migratory birds bring together governments and other stakeholders to coordinate and further develop global flyways policy, to ensure that all flyways in the world benefit from a coordination mechanism that promotes cooperation at ground level among the countries involved. The Agreement on the Conservation of African-Eurasian Migratory Waterbirds (AEWA) is an intergovernmental treaty developed under the auspices of CMS dedicated to the conservation of migratory waterbirds that migrate along the African-Eurasian Flyway. The Agreement covers 255 species of birds ecologically dependent on wetlands for at least part of their annual cycle. The treaty covers 119 Range States from Europe, parts of Asia and Canada, the Middle East and Africa. Currently 74 countries and the European Union (EU) have become a Contracting Party to AEWA (as of 1 May 2015). World Migratory Bird Day 2015 - "Energy – make it bird-friendly!"